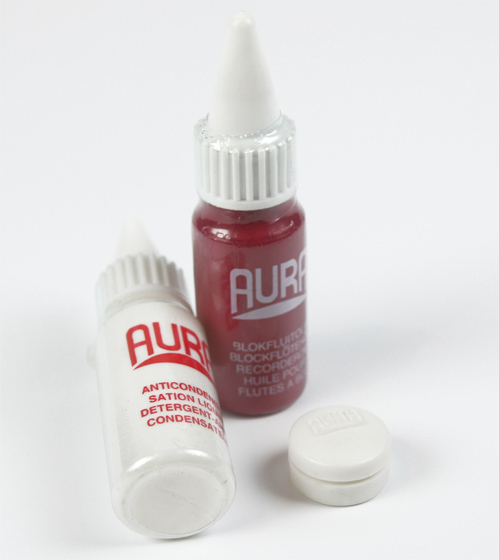 This bottle of anticondense is manufactured by Aura, but will work for all wooden recorders. Anticondense is a hydrophobic solution used to wick away moisture from your breath that would normally condense on the inside of recorders. Use on the inside of you recorder and follow all directions.